Gads Hill Center recently received a $50,000 grant through Chicago Tribune Charities, a McCormick Foundation Fund. This two-year grant will support Gads Hill Center’s Building Leaders program. The Building Leaders program implements holistic interventions both in and out of school, striving to respond to students’ educational and socioemotional needs at each level of severity to promote academic success and college readiness. 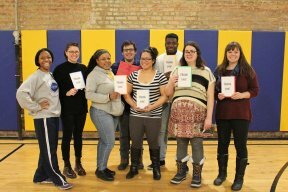 Through both center-based and school-based services, this program serves 350-400 youth from low-income Latino and African American families in Chicago. 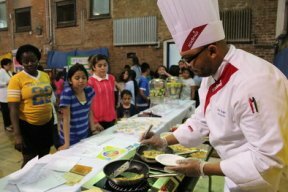 The program originated in 2002 to offer youth the opportunity to participate in center-based services at Gads Hill Center’s Pilsen location. Youth who participate in center-based programming tend to have lower rates of adverse childhood experiences with higher rates of academic stability. In this facet of Building Leaders, youth engage in programming with emphasis on STEAM (science, technology, engineering, arts, and math) learning activities, such as robotics and technology training workshops. To learn more about Gads Hill Center, visit www.GadsHillCenter.org.